In today’s post we share another photo of Mt. Ararat. Mount Ararat. Photo by Leon Mauldin. One attraction in the immediate vicinity of Mt. Ararat is Ishak Pasa Palace. Ishak Pasa Palace. Photo by Leon Mauldin. Ishak Pasha Palace is a semi-ruined palace and administrative complex located in the Doğubeyazıt district of Ağrı province of eastern Turkey. The Palace is more of a complex than a palace; it is the second administrative campus after the Topkapı Palace in Istanbul and the most famous of the palaces built in recent decades. The palace is built on a hill at the side of a mountain 5 km (3 mi) east of Doğubeyazıt. It was the last large monumental structure in the Ottoman Empire from the “Lale Devri” period. It is one of the most distinguished and magnificent examples of the 18th century Ottoman architecture and is very valuable in terms of art history. According to the top of the door inscription at the Harem Section it was constructed in 1784 (1199 H.). As the ground building sits on is a valley slope, it is rocky and hard. Despite the fact that it is at the center of the Old Beyazıt city its three sides (north, west, south) are steep and sloped. There is a suitable flat area only to the east. The entrance of the palace is on that side, and it is also its narrowest façade. As the palace was built in an age when castles ceased to be special and firearms were developed and were abundantly available, its defense towards the hills on the east is weak. Its main gate is the weakest point in that respect. The structure of the main gate is no different than those seen in the palaces built in Istanbul and elsewhere in Anatolia and has a neat stone workmanship and carving. 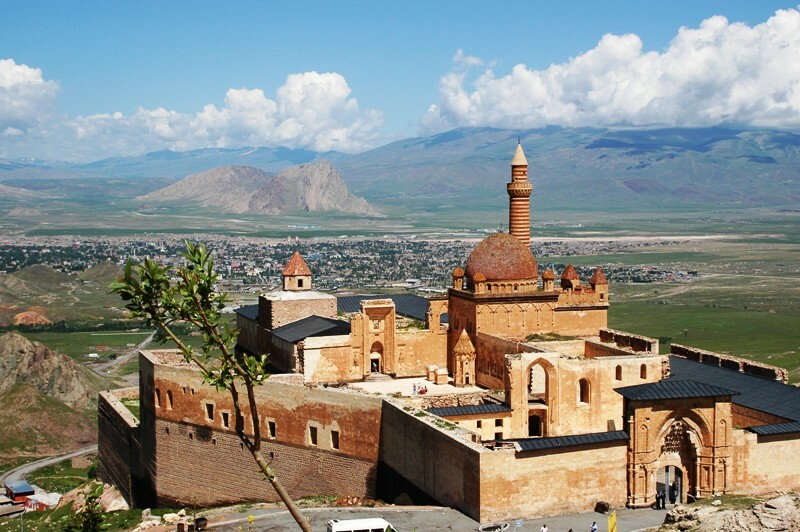 The Ishak Pasha Palace is a rare example of the historical Turkish palaces. The palace was depicted on the reverse of the Turkish 100 new lira banknote of 2005-2009. 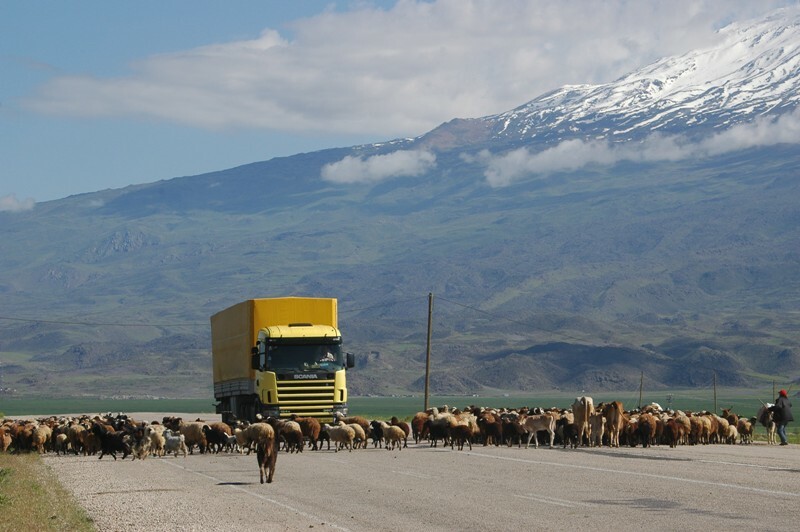 One of my all-time favorite photo opportunities occurred in June 2007, in eastern Turkey, in the mountains of Ararat. It was in this region that Noah’s ark came to rest as the flood waters receded: “In the seventh month, on the seventeenth day of the month, the ark rested upon the mountains of Ararat” (Genesis 8:4). “I establish My covenant with you; and all flesh shall never again be cut off by the water of the flood, neither shall there again be a flood to destroy the earth.” 12 God said, “This is the sign of the covenant which I am making between Me and you and every living creature that is with you, for all successive generations; 13 I set My bow in the cloud, and it shall be for a sign of a covenant between Me and the earth. 14 “It shall come about, when I bring a cloud over the earth, that the bow will be seen in the cloud, 15 and I will remember My covenant, which is between Me and you and every living creature of all flesh; and never again shall the water become a flood to destroy all flesh. 16 “When the bow is in the cloud, then I will look upon it, to remember the everlasting covenant between God and every living creature of all flesh that is on the earth” (Genesis 9:11-16). Mt. 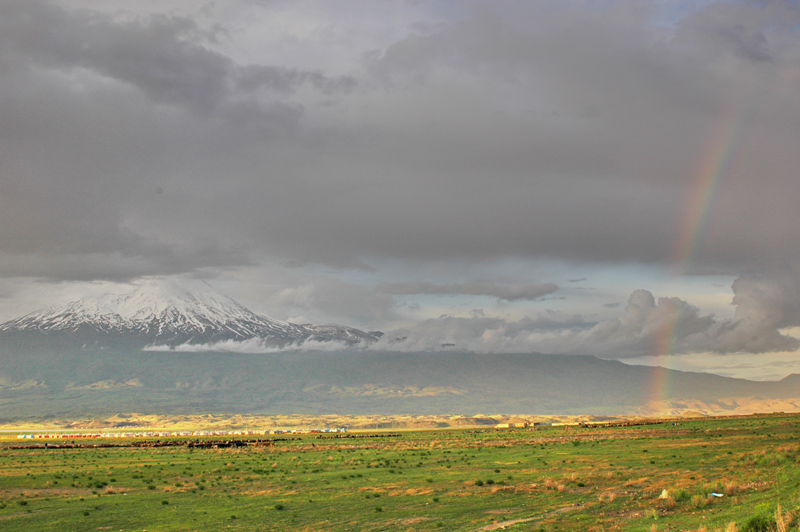 Ararat and Rainbow. The ark came to rest in this area. Photo by Leon Mauldin. 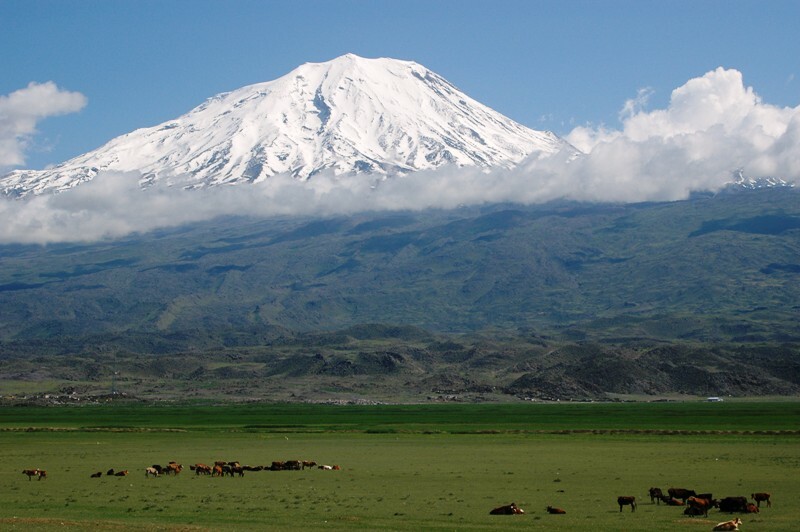 Ararat is not just one peak, but a range of mountains. The highest is called Mt. Ararat, depicted on far left in photo. Note rainbow to the right. 1. In the aftermath of the death of the Assyrian king Sennacherib: “It came about as he was worshiping in the house of Nisroch his god, that Adrammelech and Sharezer killed him with the sword; and they escaped into the land of Ararat. And Esarhaddon his son became king in his place” (2 Kings 19:37). 2. In connection with Jeremiah’s prophecy of the destruction of Babylon he mentions the kingdom of Ararat: “Lift up a signal in the land, Blow a trumpet among the nations! Consecrate the nations against her, Summon against her the kingdoms of Ararat, Minni and Ashkenaz; Appoint a marshal against her, Bring up the horses like bristly locusts” (Jer. 51:27). 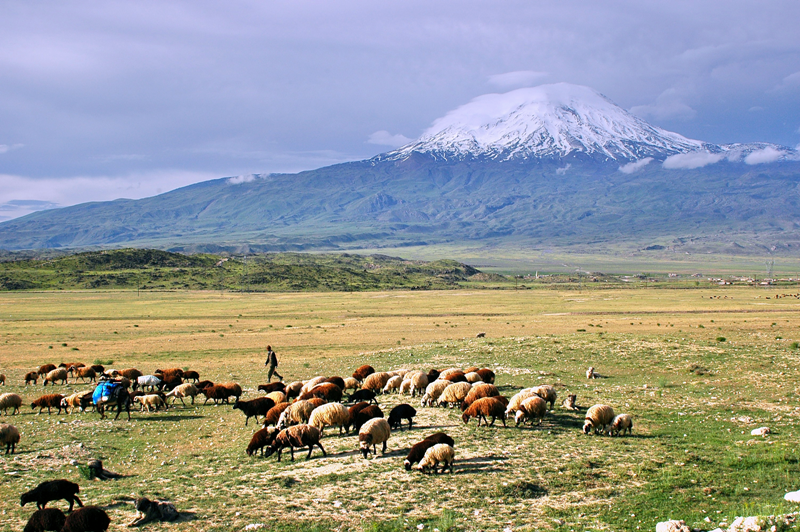 Ararat is commonly designated as Urartu in Assyrian texts. In our post yesterday we mentioned that Antioch of Syria was located on the Orontes River. Orontes River. Biblical Antioch was situated here. Photo by Leon Mauldin. Principal river of Syria which originates east of the Lebanon ridge (modern Asi [Turkish], Nahr el-’Asi [Arabic]), rises near Heliopolis (Bealbek) in the Beka Valley of Lebanon, and flows north some 250 miles through Syria and Turkey before turning southwest into the Mediterranean south of Antioch-on-the-Orontes (Antakya) to reach the coast just south of ancient Seleucia, the seaport of Antioch. 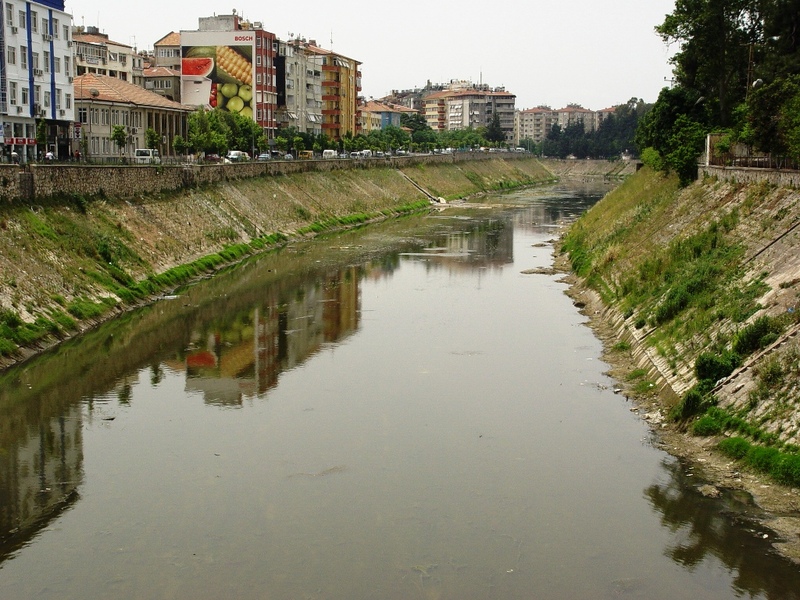 This river is never actually mentioned in the Bible but was famous for its association with Antioch, which owed to the river the fertility of its district. Cities of the Orontes Valley include Antioch (Acts 11:19; 13:1), Hamath (2 Sam. 8:9; 2 Kings 17:24; 2 Chron. 8:4; Isa. 11:11), Qarqar, where King Ahab of Israel joined a coalition of Syrian kings warring against Shalmaneser III, and Riblah (2 Kings 23:33; 25:6, 21). Nahr el-’Asi (rebellious river) is the modern name of the Orontes (p.1231). Antioch was founded about 300 B.C. by Seleucus I. Nicator who named it either after his father or his son, both of whom bore the name Antiochus. It was situated about three hundred miles north of Jerusalem where the chain of Lebanon, running northward, and the chain of Taurus, running southward, are brought to an abrupt meeting. Here the Orontes breaks through the mountains, and Antioch was placed at a bend of the river, about twenty miles from the Mediterranean on the west. In the immediate neighborhood was Daphne, the celebrated sanctuary of Apollo (see II Maccabees 4:33), whence the city was sometimes called “Antioch-by-Daphne” to distinguish it from the fifteen other Asiatic cities built by Seleucus and named Antioch. Advantageously located for trade, being easily approached by caravans from the East and through its seaport, Seleucia, having maritime communications with the West, it grew under successive Seleucid kings until it became a city of great extent and of remarkable beauty. People would refer to it as “Antioch the Great,” “the Queen of the East,” and “the Beautiful.” One feature which seems to have been characteristic of the great Syrian cities—a vast street with colonnades, intersecting the whole from end to end—was added by Antiochus Epiphanes. Among ancient cities Antioch was distinctive in being the only one known to us to possess a regular system of street lighting. . . (Biblical Archaeologist: Volume 11:4). But some of them [disciples who scattered by the persecution in Jerusalem] were men from Cyprus and Cyrene, who, when they had come to Antioch, spoke to the Hellenists, preaching the Lord Jesus. 21 And the hand of the Lord was with them, and a great number believed and turned to the Lord. 22 Then news of these things came to the ears of the church in Jerusalem, and they sent out Barnabas to go as far as Antioch. 23 When he came and had seen the grace of God, he was glad, and encouraged them all that with purpose of heart they should continue with the Lord. 24 For he was a good man, full of the Holy Spirit and of faith. And a great many people were added to the Lord. 25 Then Barnabas departed for Tarsus to seek Saul. 26 And when he had found him, he brought him to Antioch. So it was that for a whole year they assembled with the church and taught a great many people. And the disciples were first called Christians in Antioch. (Acts 11:20-27). 1. one who has heard Jesus preached (v.20). 2. one who believes (v.21). 3. one who turns to the Lord (v.21). This would include repentance from sins (Acts 2:38), confession of faith (Rom. 10:9,10), and baptism (Acts 22:16). 4. one who has been added to the Lord (v.24). 5. one who continues with the Lord (v.23). 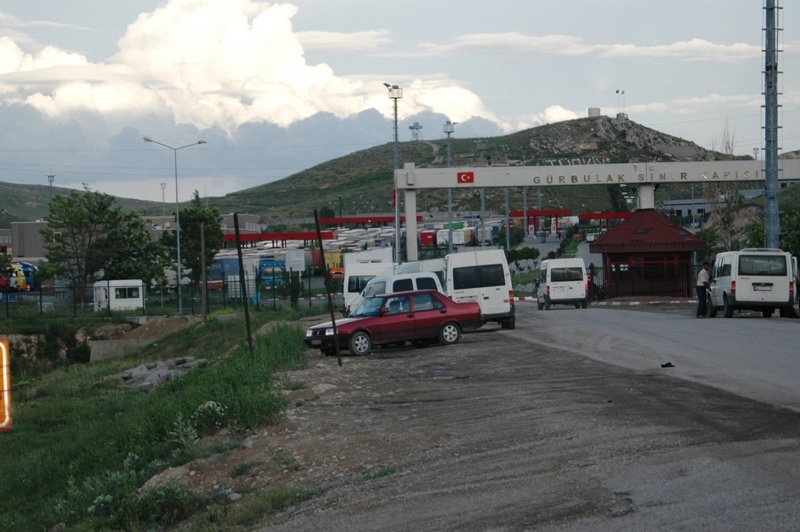 Antioch (modern Antakya) was located in Syria in biblical days, but today is within the territory of Turkey. 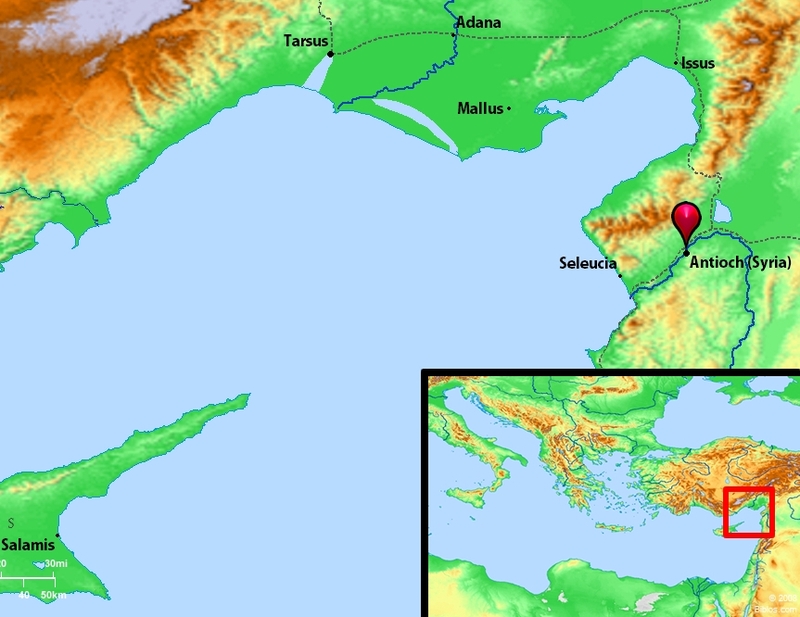 Antioch is twelve miles east of the Mediterranean, on the southern bank of the Orontes river and near the slopes of Mt. Silpius. Antioch turned out to be the beginning point for Paul’s preaching journeys (Acts 13:1ff). Antioch of Syria. 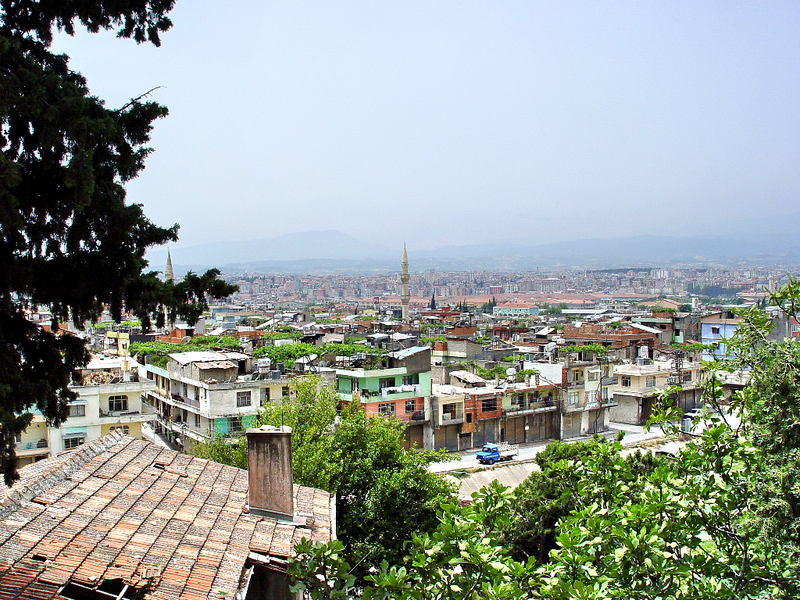 Modern Antakya, Turkey. Photo by Leon Mauldin. Built by Seleucus I Nicator (300 B.C.) as the capital of the Seleucid kingdom, it became the third most important city of the Roman Empire (after Rome and Alexandria). The layout of the city was a marvel. It was traversed from west to east by a colonnade of four rows of marble pillars between which lay three roads, a central road for the traffic of heavy vehicles and two outer ones for pedestrians, horses, and luxury carriages. A second colonnade began in the north at an island in the Orontes river and ran southward, and the city was thus divided into four districts by a gigantic, glittering, white-marble cross. North of the winding Orontes was the royal Seleucid palace, and on the northeast side of the city was the wall of Tiberius. The enchanting nature paradise of Daphne, where worshippers frequented the temple of Apollo, was to the south; its springs supplied ample water to the city. Archaeological excavations have uncovered mosaic floors of villas, an altar to unknown deities, a temple of Demeter, and numerous sculptures and images of deities (pp.60–61). Memory is an amazing thing. I view it as a gift from God. One of the saddest events imaginable is for one to lose his memory, his ability to remember and recall life’s experiences, what one has learned, etc. The ability to learn God’s word and apply it to life’s circumstances is a blessing. For that reason I encourage especially young people to spend much time in memorization of God’s word. If one does not incline his heart Godward, memory can be amazingly quirky. When the nation of Israel was yet in Egypt, all they could think about was their harsh treatment meted out by cruel taskmasters. In their affliction they cried out to God. God brought them out of Egypt after a mighty display of His power with the 10 plagues, referenced by God Himself as judgments against the gods of Egypt (Exodus 6:6; 12:12). They crossed the Red Sea, and made their way to Sinai, where they encamped for 11 months. During this time they received the Ten Commandments (along with its other laws), built the tabernacle, and consecrated the Aaronic priesthood (Ex. 19-Num. 10). God was mindful of His covenant with Abraham; at that point it was time to grant Israel possession of the promised land of Canaan. At His command and direction Israel began to march (Num. 10:11ff). But immediately they lost sight of God’s lofty purpose with them and began to murmur (Num. 11:1). Talk about selective memory! Talk about rewriting history! The New Testament identified the problem as a lack of faith (Heb. 3-4). Stephen showed that the heart of the problem was a problem of the heart: “in their hearts they turned back to Egypt” (Acts 7:39). 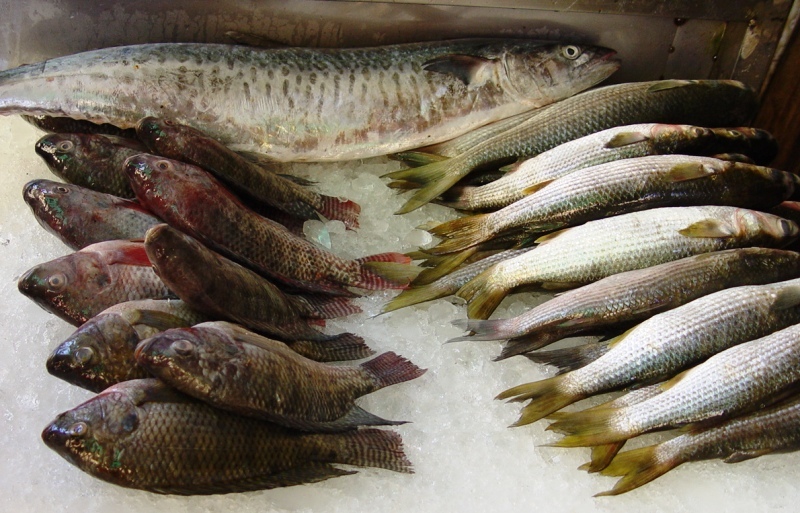 Fish in Alexandria, Egypt. Photo by Leon Mauldin. 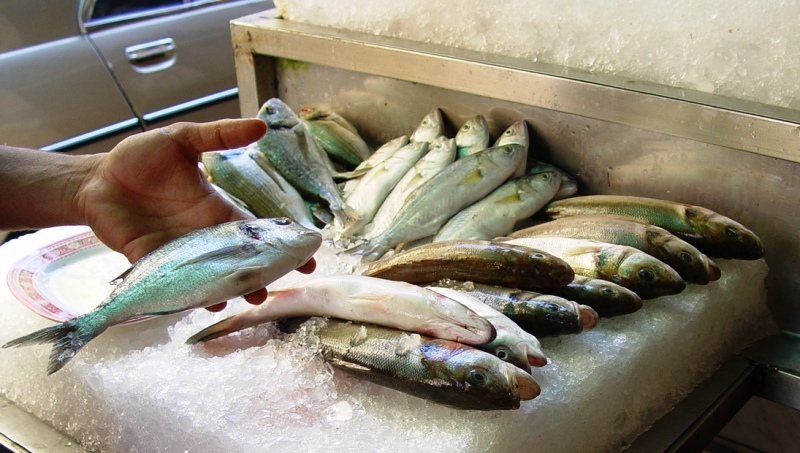 I photographed these fresh fish at a local restaurant in Alexandria. My daughter and I dined there. Israel remembered the fish, but forgot God’s purpose for them. Photo by Leon Mauldin. You are currently browsing the Leon's Message Board blog archives for August, 2012.